i have a 1969 baja but the engine heater is choped off and coverd up i was wodering what else could i do so the windows dont fog up when im driving?? Hold your breath and stop breathing. Thats a good question us Arizona Guys realy do not have this problem much. What do people do there when it's cold and the heter is not working? When I still drove mine on the street I used 2 electric heaters. Drive the one that has a heater. I tried the cheepy heaters, they don't work. I resort to a big coat and opening the window vents. I just remembered, Rain-X No Fog works but your window will be a little blurry and you have to re-apply it occasionally. did you buy an electric heater already set up or did u have to cut it and wire it yourself?? I took two from either autozone or walmart that plug into the cigarette lighter and just hard wired them to a switch and mounted them to the far left and right of the dash. worked great. I planned on installing seat warmers but now its not street driven so I dont worry about it. I had 2 heater similar to these, they helped with the windows, and do take the chill off a little. Hmmmm I had a friend that ran a VW gas burning heater (EberspÃ¤cher gas-electric heater?) 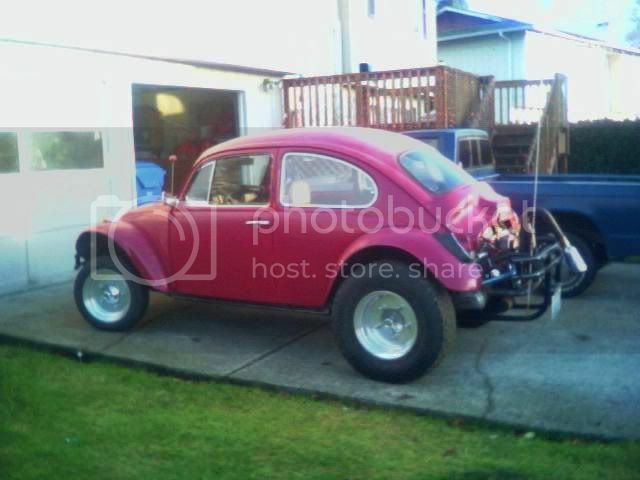 in his Baja,that was in Roseburg Ore..And there is a few companies still currently making both air and liquide heaters that run on fuel (Kerosene,Gas,and Diesel versions) from vehical tanks. I'm trying to find the link I saved...But to no avail. I think Military Vehicals Monthly may have an ad for such heaters...? I myself have very little heat coming from my window vents,but from behind the seat plenty. (And no not from me :P)Even after adding a fan to push the air thru heater channels (I plan on running a plumbers snake thru them someday). Here's a couple links for aftermarket heaters. Even though I'd rather get my stock heater working again,I know using J-Pipes and Headers take away that choice.But the worries I have with fuel burning heaters is Carbon Monoxide poisoning.Oh and the gas tank too. And another thoght a friend had,and I've seen this advertised as a kit too. Using engine oil via an oil cooler to warm the interior,but snaking the lines for a defroster would be a nightmare. Well that's my 2cents,hopefully help ya'll fall asleep. Allmost forgot,That's a pretty Baja.